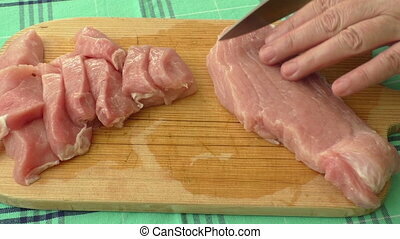 Cleaver chop to raw pork for minced on wooden cutting board. 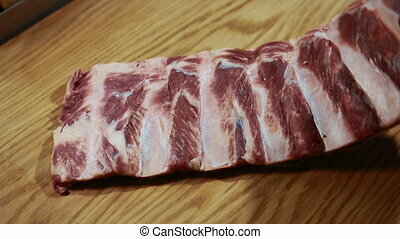 Beef ribs are being put to the wooden cutting board on the kitchen of restaurant, close up. 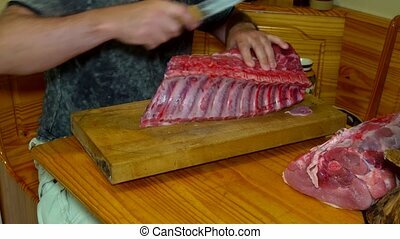 Chief is placing big piece of red meat with bones to the table to prepare the delicious meat for cooking. 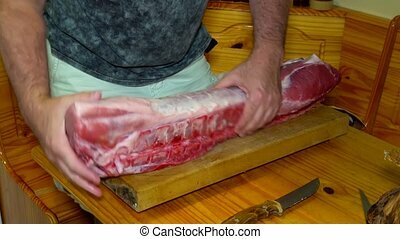 Butcher Cutting the Raw Pork Meat to pieces slice using Big Knife in the Market of La Boqueria. Barcelona. Spain. 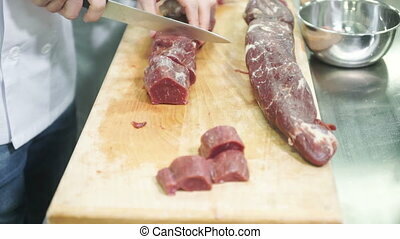 Butcher cuts of beef meat at the market. 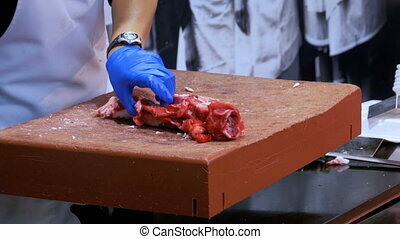 A man in gloves cuts fresh, juicy beef meat on a wooden board. 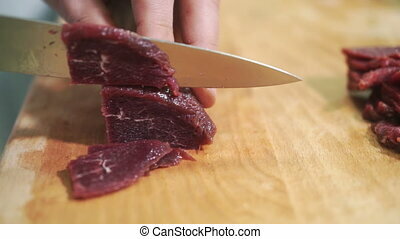 On a wooden board with a knife thinly sliced pieces of raw meat. 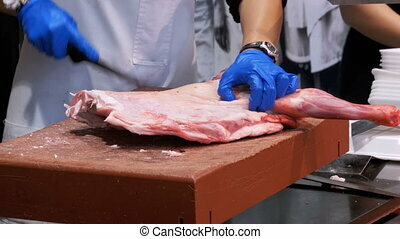 Hands human being holding a piece of red meat and a sharp metal blade makes cutting. 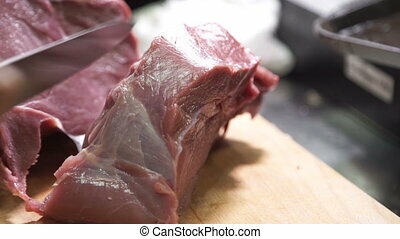 Nearby is another bunch of product that awaits preparation. 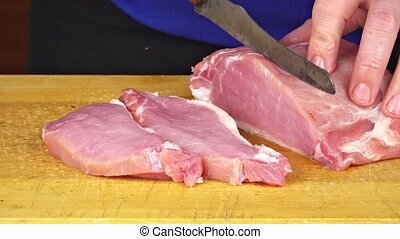 Cook steaks to fry in a skillet. 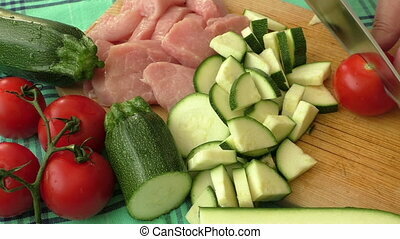 Get a hot meal that will be served to guests feast. 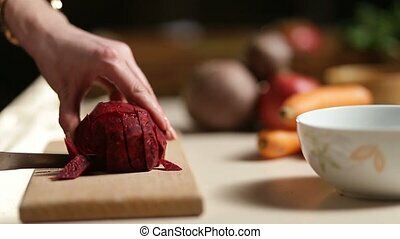 Chef makes the food harvesting, which would quickly make a meal on the menu for meat restaurant customers.